Getting more leads, maintaining existing clients, and building a brand despite stiff competition: these are the trials lawyers face outside courtrooms and legal offices. In this case, attorneys and legal counsels have to find a way to get their services and expertise known to as many people as possible. As a practitioner, you don't just sit and wait for someone to call you and ask for legal advice. 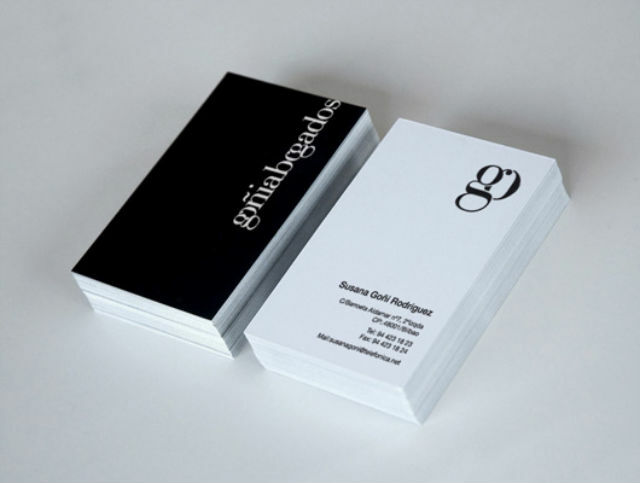 Printing professional business cards is one of the surefire ways to meet potential clients, create good first impressions, network with others in the industry, and have a strong brand for you and your firm. Disclaimer: Images are provided solely for the purpose of design inspiration. 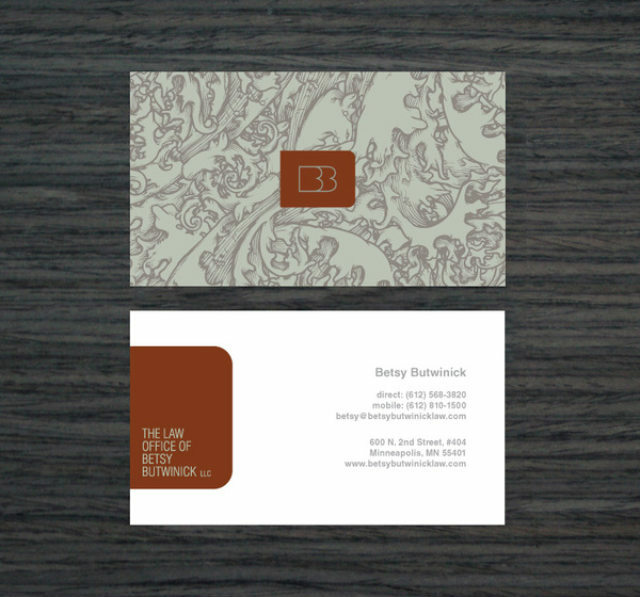 The exact specifications for some lawyer business card samples shown below may not be offered by UPrinting. For details on printing options and customization, please call 1-888-888-4211. Compare how the information were presented with these different styles and designs, printed on both sides or just on the front. 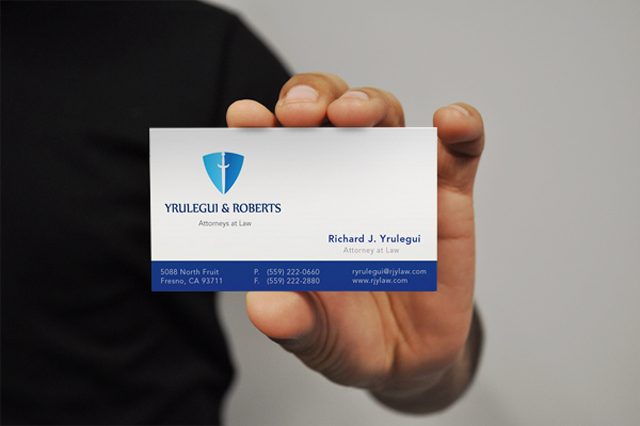 Learn how these examples worked well in marketing legal services and get ideas that best suit your business cards. If you only want to use your card's front side, don't forget to put basic details to keep the lines open for communication. 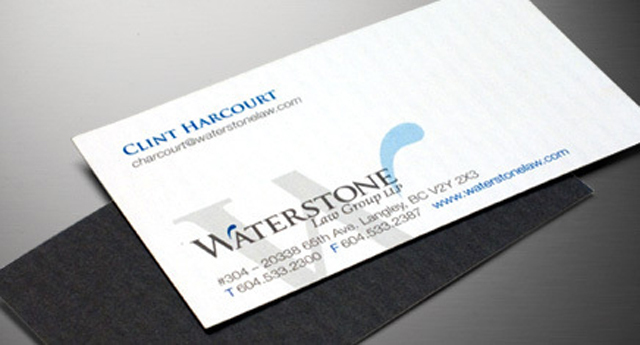 Making it simple and neat helps give your card a professional look and feel. The simplicity and neatness of the design won't make the card look boring as long as you use the right combination of colors and typography. Having no graphics can also work; the combination of just typography, shadow, and a few colors gave this card a stylish feel. Either you go for a lighter or darker color as your background, it's important that they match well as these two cards show above. You can even use a die-cut shape for a chic finish. For double sided business cards, you may want to use the back side for branding, while leaving the important details printed on the front. 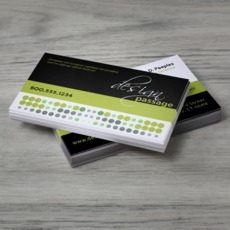 The back of your cards can also be used as appointment cards, calendars, and coupons. Black and white can be a striking combination. Oversized typography gives an emphasis to this card's type face, with the use of a few font colors. Though it extends to the edges of the card and looks like trimmed, the oversized text works well as the card's design. 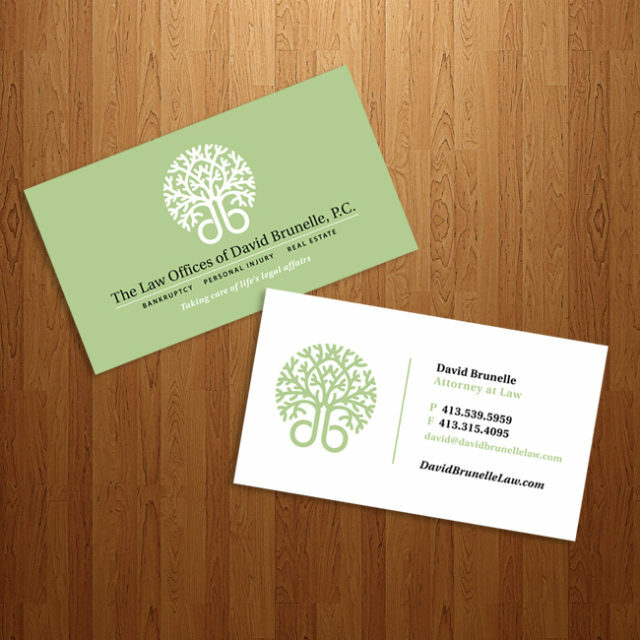 A refreshing look for your professional lawyer business cards. It's a good idea to place plain text on the front and your logo at the back of your card, with a visually appealing background like this paisley pattern used by this card. 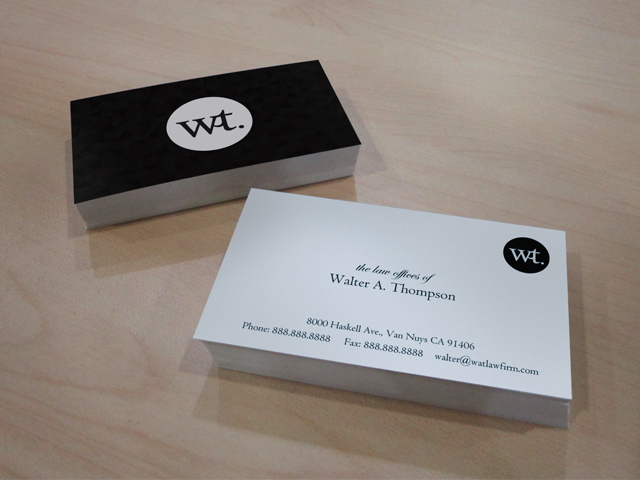 This black and white business card design is created by our very own designer. If you want to use this and get a PSD file, just give us a call at 1-888-888-4211. 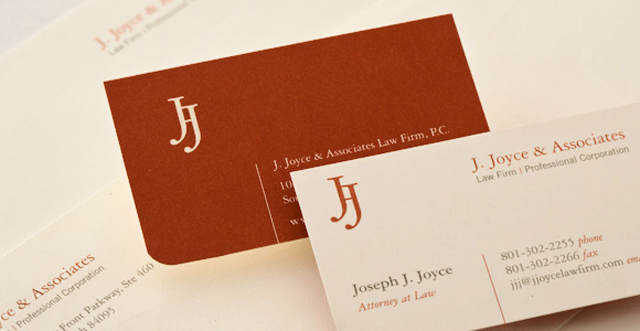 Creatively designed lawyer business cards can help new and existing clients remember your brand. 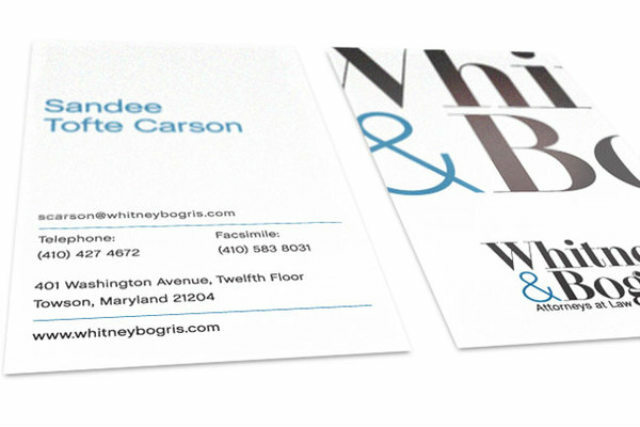 Have your cards designed and printed; UPrinting might be of help when it comes to customizing your card's size and shape and proofing your file before printing. Call us or launch Live Chat for details.